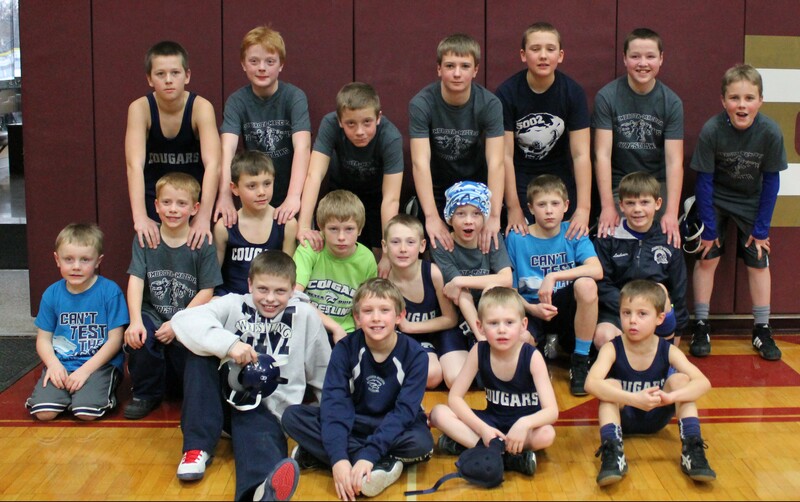 The youth team went 3-2 today in Kasson, placing 7th out of 16. We defeated PEM, Caledonia, and Ellsworth, WI. The two wins over PEM and Caledonia avenged earlier losses against them from 2 weeks ago. We battled hard but lost to Chatfield and Byron. 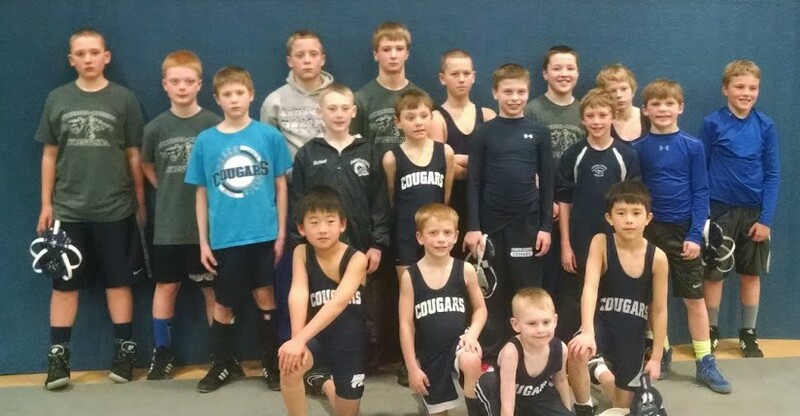 11 boys wrestled extremely well in Kenyon on Saturday. They were Lincoln Toombs, Jake Moran, Brody Lohmann, Cole and Lucas Schiell, Cain and Ryan Lexvold, Gunner and Tanner Mancilman, Carter Annen, and Isaiah O’Reilly. Gunner Mancilman also earned the fastest pin trophy for first grade. Way to go Gunner! A reminder that tomorrow night during practice we’ll be doing our 100 takedowns (PreK and K will have a regular practice). Gatorade and popcorn will be served after. Please bring your pledge money and form to practice tomorrow in an envelope with your wrestler’s name on it. Contact Lacey ASAP if you are unable to attend Monday so we can get prizes ordered and a final tally to see if we met our group fundraising goal. We are taking a bus to the Albert Lea tournament this Saturday. I still have memories of the bus rides and tournaments I attended in elementary. 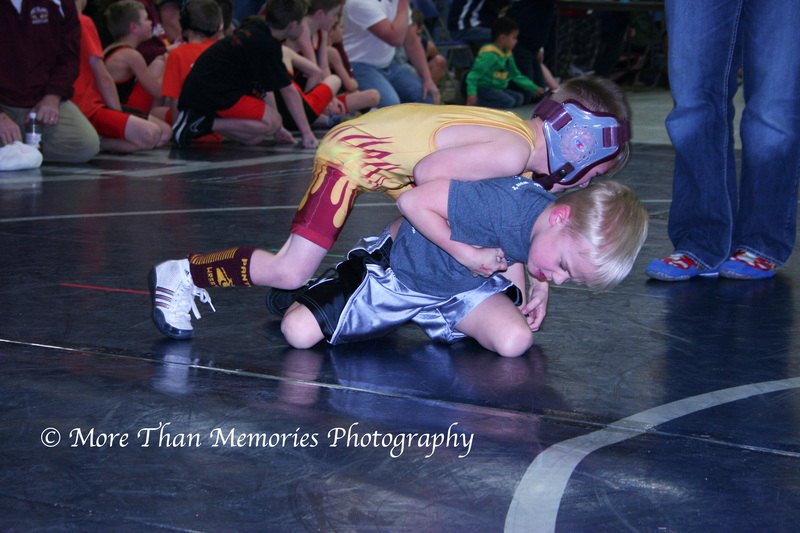 Hopefully we can provide the same type of memories to our wrestlers as well. We encourage all the kids to take the bus and not ride separately. Please bring this registration form to practice tomorrow. Put Z-M for the City/Organization and leave the Weight field empty. Also, at the very bottom of the form please write which town your child will be getting on the bus that day so we know who to expect where. The bus leaves from Mazeppa at 6:15 AM, and leaves from Zumbrota at 6:30. Approximate return time is 3 PM. Ask the coaches or Lacey if you have any questions. Monday- Practice/100 Takedowns. PreK-3rd at 5:45. 4th-6th at 6:45. Thursday- Open mat practice in new wrestling room. 6:00-7:15 PM. Saturday- Bus trip to Albert Lea! Leave 6:15 AM from Mazeppa, 6:30 from Zumbrota. The 2nd clothing order will be extended to Friday, Jan. 23. Please have all orders turned in to the wrestling room or to our house (353 East 9th Street, Zumbrota) by that date. Clothing should be completed the first week of February. Thank you! A HUGE thank you to all of the volunteers this past week! From people transporting mats, working tables, concessions, admission, registration, donating food, doing skin checks, bracketing- all went extremely smooth because of your hard work. Lacey mentioned she really enjoyed meeting some new faces. A reminder that if you’d like a shirt just like your child received, the orders are due tomorrow. Please bring your money and this order form to practice. We plan on taking a bus to the Albert Lea individual tournament on Saturday, January 31st. The bus will bring us there and back. If you are interested, please sign-up on the sheets in or near the wrestling rooms fill out the registration form and bring to practice. The cost of the bus will be covered by the Booster Club. If we reach our monetary goal for the takedown fundraiser, the Booster Club will also cover the cost of the registration fee and an ice cream cone afterwards. 2nd grade and younger must be accompanied by an adult. Parents of older wrestlers are welcome if the bus has room. We plan on leaving Mazeppa at 6:15 AM, and leaving from Zumbrota at 6:30. Approximate return time is 3 PM. 100 Takedown Night is only 8 days away! Good luck on accumulating those pledges! Monday- Practice. PreK-3rd at 5:45. 4th-6th at 6:45. Sunday, Jan. 25- Kasson team tournament. Meet in Mazeppa at 7:45 to carpool if needed. Bloomington individual tournament. 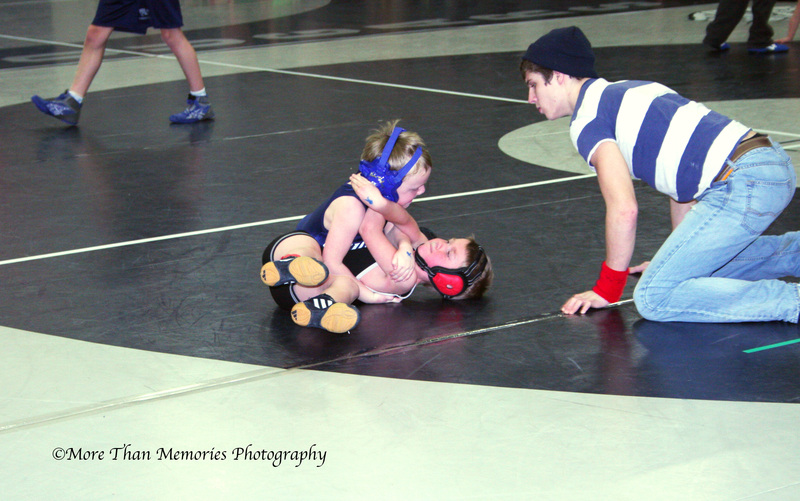 Below are a few action shots of some of our little guys from Friday night courtesy of Laura Toombs. Our youth home tournament is Friday night in Zumbrota! Weigh-ins are from 4:30 – 5:45 PM, but we ask that you arrive early to beat the rush and help volunteer. There is no entry fee for ZM wrestlers, but please bring this registration form filled out to the tournament to expedite the registration process. You will need to go through skin checks and weigh-ins that night. We are still in need of volunteers for Friday and Saturday. Any help is much appreciated. Many parents have asked about ordering themselves this year’s youth wrestling t-shirt, just like the one your child received. The cost is $12 or $14 per shirt depending on size. You can bring your money and this order form to practice. Orders are due by Monday, January 19th. 4 wrestled in Medford on Friday night. They were Ashton Macht, Evan Groby, Riley Walerak, and Jake Moran. 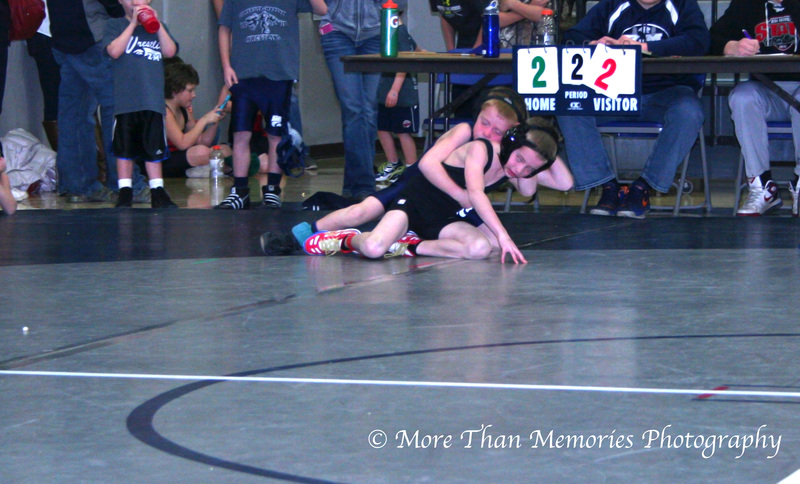 11 more wrestled in Eyota on Saturday. They were Lincoln Toombs, Cole and Lucas Schiell, Owen, Cain, and Ryan Lexvold, Isaiah O’Reilly, Ashon Macht, Ethan Kovars, Nathan Haltom, and Evan Groby. One of the best parts of these tournaments is the camaraderie the kids develop with one other as well as with wrestlers from other towns. 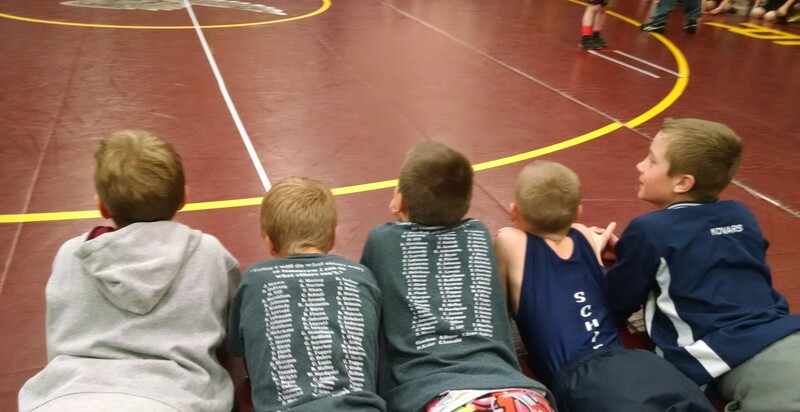 The team wrestled in Chatfield today, going 2-2. We fell to PEM and Caledonia before finishing strong and beating John Marshall and Triton. Thursday- Open mat practice in new wrestling room. 6:00-7:00 PM. Watch high school dual with Hayfield afterwards. Friday- Home youth tournament. Arrive early. Tomorrow night during practice we will be taking individual and group pictures. Please try to wear your ZM Wrestling t-shirt or singlet. We’ll make these photos available to the group at a later date. There are signup sheets in or near both wrestling rooms for the scrimmage at Goodhue on Thursday. A great opportunity for all, especially those with no or little tournament experience so far. Please arrive at the Goodhue Public School at 5:45, wrestling will begin at 6:00 in Gym #1. Wrestlers will get into the event for free, parents and spectators will be charged admission. They may need a few parent volunteers to help referee and keep score. Four wrestlers made the drive to La Crosse this past Saturday to take on some of the best kids in the tri-state area at the Badgerland Nationals. Wrestling were Ethan Kovars, Jack Smothers, Ashton Macht, and Mason Edstrom. Monday- Practice. PreK-3rd at 5:45. 4th-6th at 6:45. Wear wrestling t-shirt or singlet. Wednesday- Booster Club meeting at 6:30 in Mazeppa School Library Zumbrota VFW (moved due to school closing). Thursday- Youth scrimmage in Goodhue. Arrive at 5:45 PM. Sunday, Jan. 11- Chatfield team tournament. Meet in front of Mazeppa school at 9:45 AM. 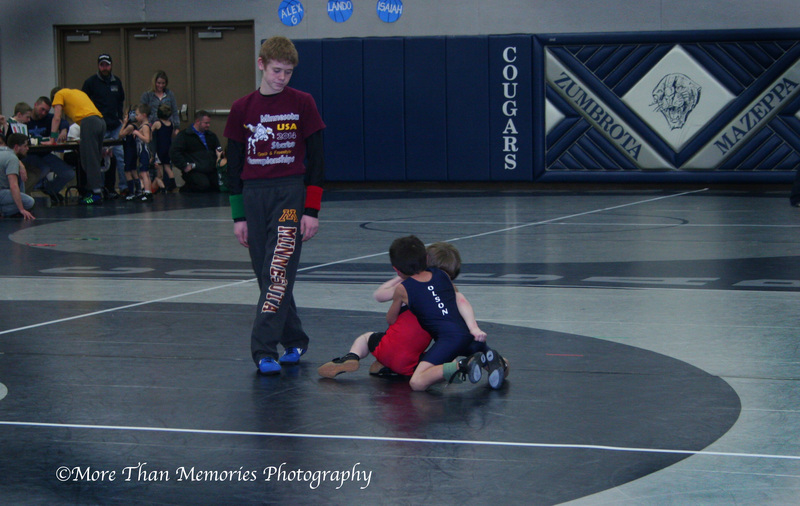 Zumbrota-Mazeppa Cougar Wrestling Blog at WordPress.com.